Ocean Springs real estate is part of the Pascagoula, Mississippi metropolitan statistical area. Located on the eastern shore of the Biloxi Bay, the city is located 2 miles east of Biloxi and is west of the city of Gautier. The city is connected to Biloxi by the Biloxi Bay Bridge. This original Biloxi Bay Bridge was constructed in 1962 and replaced the War Memorial Bridge, which was built in 1930. Today, this connection to Biloxi is a six-lane bridge that was reconstructed after Hurricane Katrina destroyed the one built in 1962. The bridge reopened in 2008, allowing many who choose Ocean Springs homes for sale access to the Biloxi area for commuting to work as well as the many restaurants, shops and recreation available in the city. This area was the location of a French settlement in 1699, previously being the home of Native Americans. Ocean Springs was named in 1854 by Dr. William Glover Austin. He believed that springs in this area were healing springs. For many years, due to this belief as well as the location along the Biloxi Bay, Ocean Springs was a resort town. Over the years, it developed into a residential area with a strong emphasis on its history. This city of 23,161 according to the 2010 census is known today as an arts community. Downtown Ocean Springs, which is somewhat secluded, is a historical area with tree-lined streets. 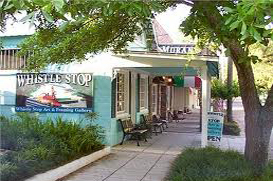 Many Live Oak trees provide the setting for the numerous art galleries and shops located here. There are also several ethnic restaurants here including Phoenicia Gourmet and Mediterranean. In addition, due to the location, seafood such as shrimp, fish, crab and oysters is abundant. The construction of several ice plants along the coast was a key factor to the beginning of seafood sales in this area. Residents of Ocean Springs real estate are served by the Ocean Springs School District. Homes in the area consist of a variety of single-family, multi-family, townhouses, condos and homes with acreage. In addition to the downtown area many businesses are located on Highway 90, which runs along the coast. The town is host to several festivals throughout the year. The Peter Anderson Festival and the Herb Festival as well as Mardi Gras are just a few of the events that may be enjoyed by residents and visitors.